Week 18 is the week of reveals for the Bead Peeps Swap N Hop, so I'm gonna keep it short. 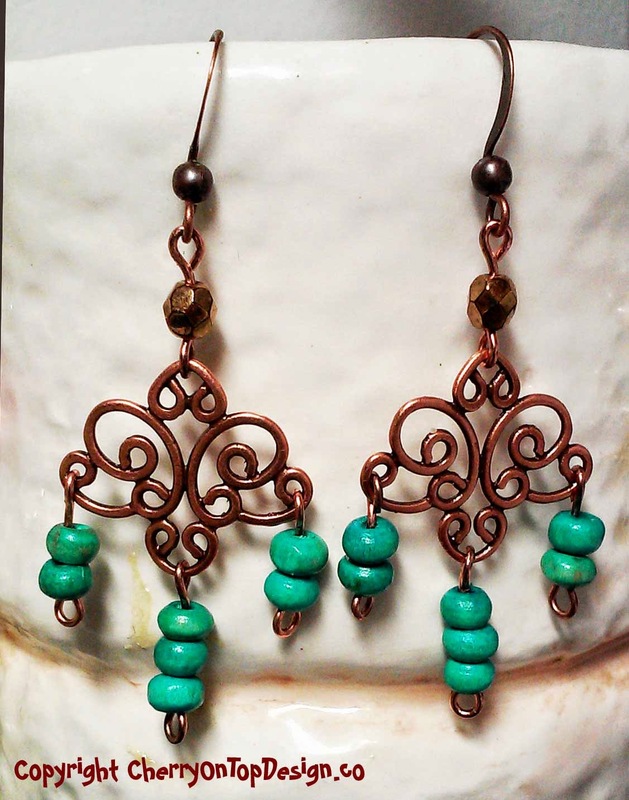 These sweeties feature copper firepolish beads, copper butterfly filigrees and wood dangles. Sweet, simple and adorable! Classic, too!